When taking any supplement, absorption is critical. Pills are difficult for the body to digest. The PDR (Physicians Desk Reference) is considered to be a medical Bible. 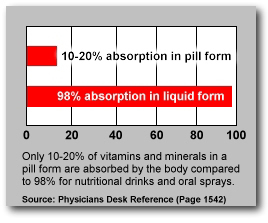 Look at page 1542, it points out a bar graph that nutrients from a pill absorb only 10-20% in our body while the liquid has up to 98% absorbability! In fact, for every $100 you spend in pills, $80-$90 of that gets thrown away! Did those pills, capsules, gel caps or even chewables we took as children make us feel any different throughout the day except sick to our stomach? The antioxidant tocotrienols continues the proud tradition of powerful antioxidants having really bizarre names. 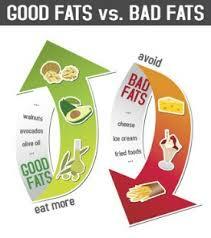 Tocotrienols is a fat-soluble antioxidant typically combined with Vitamin E in supplements. Tocotrienols is best known for its impact on cholesterol, primarily its ability to lower bad cholesterol (LDL) while leaving good cholesterol (HDH) unchanged. In a preliminary study, patients given 200 mg of tocotrienols showed a notable reduction in cholesterol levels. After taking tocotrienols for four weeks, patients averaged a 13% reduction in cholesterol. 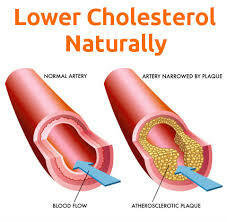 In a similar study, patients who consumed 200 mg of tocotrienols each day noticed a 15% drop in total cholesterol and an 8% reduction in bad cholesterol (LDL) levels. In the past few years, the focus of toctrienols has not been cholesterol. Researchers have been primarily focused on using tocotrienols to help the cardiovascular system. In 2005, there were two studies done which measured the influence of tocotrienols in stroke recovery and tocotrienols ability to combat tumors. In October 2005, researchers studied tocotrienols and its ability to defend the brain against degeneration (deterioration) after a stroke. The study found that animals who consumed tocotrienols supplements were less susceptible to stroke-induced brain-damage than animals in the control group. Another 2005 study measured the effect of tocotrienol supplements on mice with tumors. After consuming tocotrienols, the mice showed significant suppression of tumors in the liver and lungs. Both studies concluded that it is too early to establish the effectiveness of tocotrienols, but hope that these studies will lead to more research in the future regarding tocotrienols’ healing properties. Tocotrienols can be found in palm oil, rice bran, and oats. There is no recommended dosage for tocotrienol. The standard dosage is 140 to 360 milligrams per day. To supplement tocotrienol, Liquid Energy Online suggests the super antioxidant Cellcare! It is possesses 200% of your daily value of Vitamin E that is combined with tocotrienol. Get yours today and experience the power of biocellular micellization. Find Out Why Biometics is the BEST! Deluxe Nutritional Energy ProgramDELUXE NUTRITIONAL ENERGY PROGRAM: BIO FUEL, GET-GO-N PLUS, ALOE PLUS, CAL/MAG 100 Supports advanced nutrition by providing all of the nutrients and minerals needed for a healthy diet. This program also contains CAL/MAG 100, the only product with 100 percent of the US Daily Values of Calcium, Magnesium, and Zinc in a form that is completely absorbed by the body.